KJIPUKTUK (Halifax) – While municipalities reliably test the quality of water delivered through the utilities they manage, rural residents who rely on wells are on their own. Now a new organization, Rural Water Watch Association (RWW), will respond to rural community members’ calls to test their water quality, addressing concerns about living close to toxic sites like landfills or incinerators. RWW is a non-governmental organization (NGO) formed earlier this year by Nova Scotia Community College science instructor Dr. Wilber Menendez-Sanchez, hydrogeologist Fred Bonner, Shelburne artist and activist Louise Delisle, and Dr. Ingrid Waldron, a Dalhousie professor who leads the ENRICH project, an initiative that supports racialized and marginalized communities that face environmental issues. The NGO builds on the ENRICH Project’s activities to address long-standing water contamination concerns in Shelburne and Lincolnville. Wilber Menendez-Sanchez, a board member of the NGO, remembers being astonished to learn that Lincolnville had been asking in vain for an independent study of their water for over thirty years. 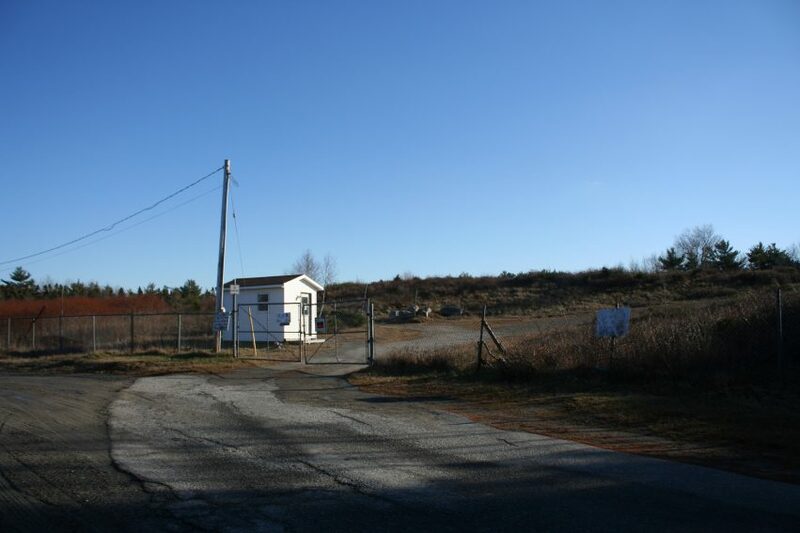 Lincolnville is located near a landfill that services large parts of eastern Nova Scotia and Cape Breton Island. Community members’ concerns about their water quality had been met with dismissiveness by municipal and provincial governments. Because private companies conduct water quality testing, the cost can be prohibitive for an individual. A basic bacteriological test costs around $60, and Nova Scotia Environment recommends this be done twice a year. For a full analysis, which is necessary to test for abnormalities that may come from nearby pollutants, the cost increases to $600–$800. The NGO wants rural communities, from Yarmouth to Cape Breton, to contact them if they suspect a problem with their water due to a nearby source of pollution. RWW aims to raise the funds required to conduct the necessary testing for communities that need it. These funds will be used to sample and test water, but RWW also seeks to build the capacity of the communities they work with to do ongoing testing, research, fundraising, and advocacy themselves. “You get a sense of empowerment when you have control, are able to make decisions, and test your own water,” says Ingrid Waldron, a board member of RWW and director of the ENRICH Project. She emphasizes that, once you know there’s a problem with your water, the skills required to get to the right person can be a barrier due to government bureaucracy and the technical language required to communicate water quality problems. The absence of a program to help rural, marginalized Nova Scotian communities access safe water is glaring. So is the lack of meaningful government consultation in areas like Guysborough, one of the poorest in Nova Scotia and, not coincidentally, the location of the landfill that accepts a large portion of the province’s garbage. “It’s all about power in this case,” Menendez-Sanchez observes. Through its work, RWW hopes to challenge power inequity: the political power to influence decisions, the economic power to pay for tests and remediate contaminated water, and the cultural power that allows participation in technical conversations and self-advocacy. The NGO will do much more than the practical work of facilitating water sampling—the board members consider RWW an educational institution that will train students in research methods, community engagement, and more. They will soon hire a coordinator to arrange funding, organize community consultations, and begin a literature review of the technical, social, medical, and legal implications of the work. But the most important step in building this new NGO is reaching out to communities that need water testing done and want to learn how to do it themselves. To connect with the Rural Water Watch Association, please contact Fred Bonner at fred@eduterra.ca. Check out Fazeela Jiwa’s website. Previous Post Letter from Kendall Worth: Mind your own business! This is very helpful. My partner & I have recently moved to Canning, NS and are amazed by the lack of information available regarding agri-chemical contamination of ground water, wells, streams, etc. I find it hard to believe that decades of industrial farming has left no trace in the environment. My research continues, but to date, it appears that not one Government agency, charged with the health of citizens, have ever tested water in this environment. Anyone with further info. re: water testing in the valley or how the public might access the results, please get in touch – thanks!